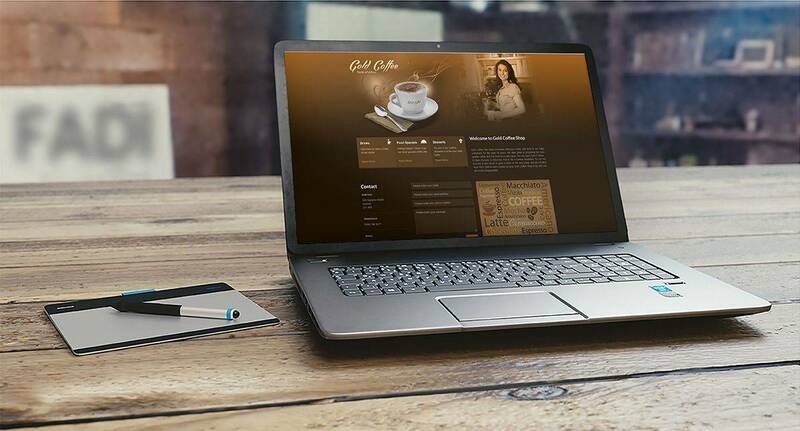 Gold Coffee Shop contacted DCP Web Designers to create a new Responsive Website Design solution. The website was design from a blank canvas using Abobe Photoshop. The website allows customers to browse menus and contact Gold Coffee Shop using online form processing. The website is fully responsive allowing easy access from Desktop, Mobile and Tablet devices. DCP also created a custom logo design. The website also uses SSL encryption for secure form processing data transfer. Form content is sent directly to Gold Coffee Shop email account in real-time. Gold Coffee Shop can also make updates to the website using a password protected control panel.